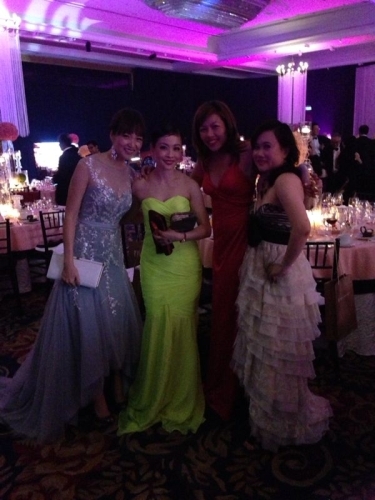 Celest Thoi @ The Malaysia Tatler Ball 2013! Every now and then, I get to put down my stitching for a bit, and play dress up on a night out in town. 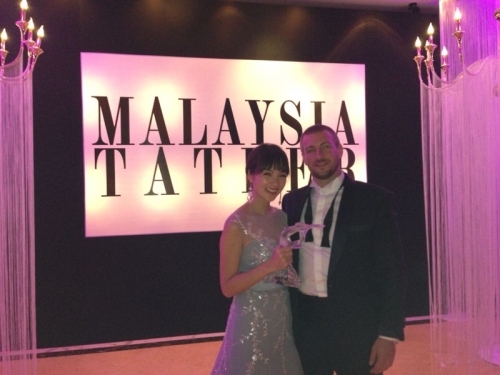 This time ’round, I had the opportunity to attend one of the most exclusive and prestigeous events I’ve ever been to – the Malaysia Tatler Ball 2013! Since I don’t often get the chance to doll up, I eagerly went to work on a whole range of makeup and styling for myself, and after a reasonable amount of time, I emerged with this look! Kinda different from my regular look. Ironically, James only took a few minutes to shower and style his hair, and he manages to look all suave and debonair. Thats him, on the left. 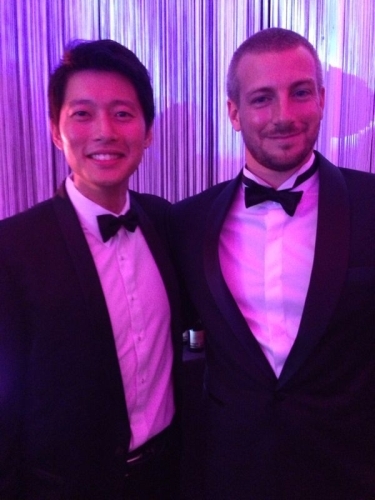 On the right would be the dashing Michael Helfman! 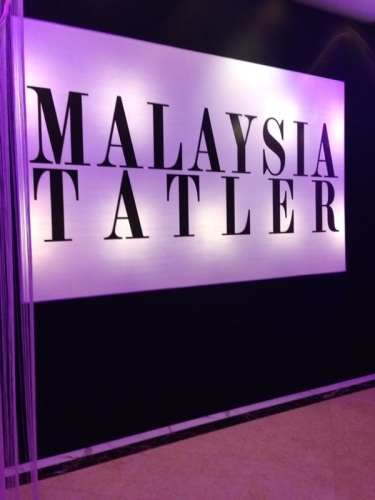 Every year, the Malaysia Tatler holds a gala to recognise and reward the achievements of the cream of the crop of Malaysia’s elite. 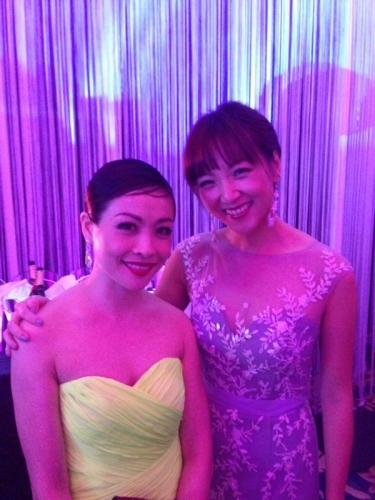 In this year’s event, A-listers like Tengku Puteri Meriam and Dato’ Seri Mohamad Toufic Al-Ozeir, Tan Sri Lee Kim Yew, Datin Usha Nair, Datuk Wan Fusil, Datin Jude Khadijah, Abdul Razak Ahmad, Gabrielle Tan, and Ken Lim appeared to claim their accolades. 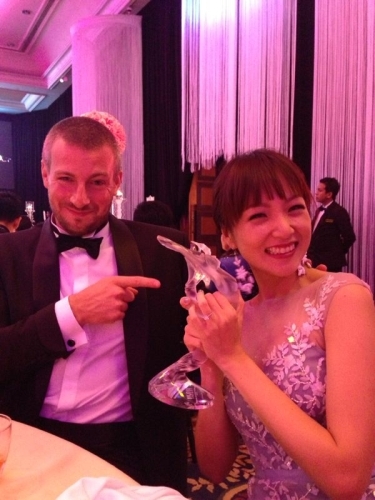 Gabrielle Tan, marketing director of Midvalley City Gardens Sdn Bhd, was nominated as the most stylish woman of 2013, and guess who’s dress she was wearing on the coronation? Gabby, as she is affectionately called, appeared in one of my designs, and we decided to pop over to show our support! They make such a sweet couple! We, on the other hand, appear somewhat crazed. 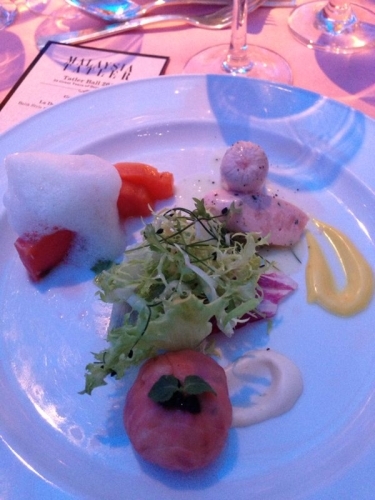 It was a glitzy affair, with enough food and drink to go around, as well as an inordinate amount of style and glamour! 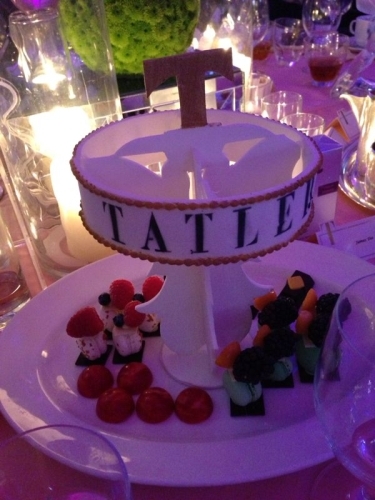 The people at Tatler are definitely not slouches when it comes to pulling off an event with class. And a backdrop that brooks no nonsense, and leaves no doubt as to who’s behind the whole night! Gabrielle and I. Look at how demure (and yet innocently cheeky) she looks! A few more colours and we would form a rainbow. Its always a great feeling to let one’s hair loose once in a while (figuratively speaking, of course) and just enjoy a night of intelligent conversations, good food and drink, and amazing company. Tiring as it may be, the occasional foray out into society certainly sets the pulse racing, and the good ‘ol youthful vibes rekindled again! More photos for your viewing pleasure!